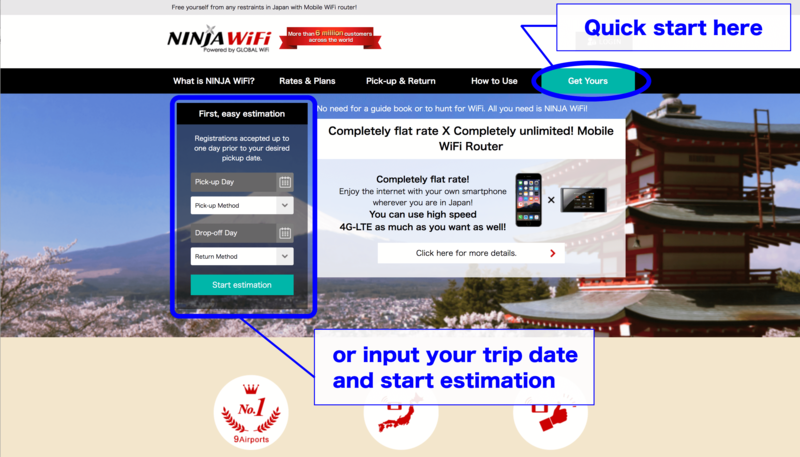 Here are 5 steps to book a reasonable pocket WiFi at NINJA WiFi. 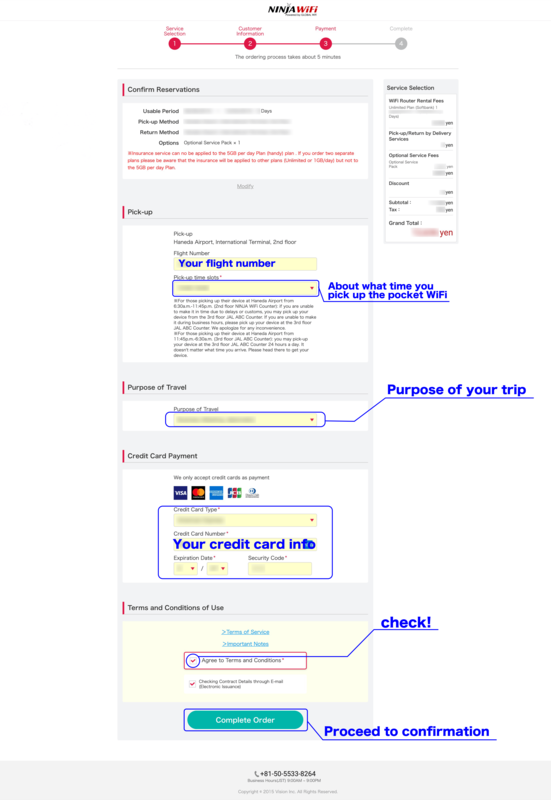 In order to proceed to booking page, click the button at right-top, "Get Yours" button. Or you just input your travel date and the airport you're going to take beforehand. It might be easier afterwards. Here you are to select quantity of rental pocket WiFi, insurance, and external battery. If you lose the divice you'll be charged quite amount of money. So it's recommended. 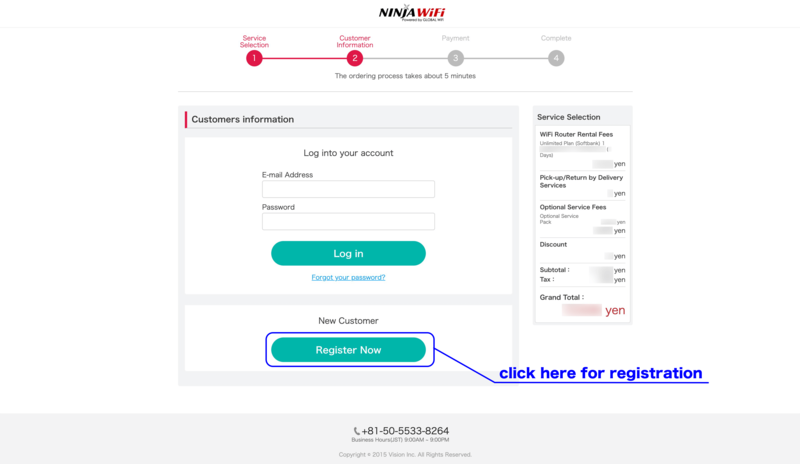 You need to create your account for further step. If you have your account, input your email address and password here as instructed. 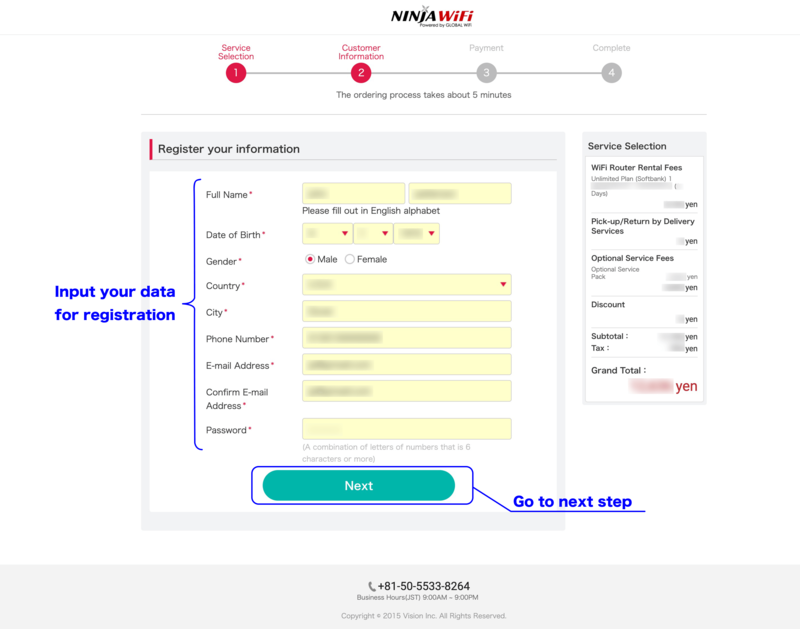 A resitration page - please input your information for registration. Here you inform them of your aprox. arriving time. Also credit card information. After you input all, apply from the button at the bottom. Yes, you can, as long as you want to pick up your WiFi device at Narita Airport Terminal 1, Narita Airport Terminal 2, Haneda International Terminal, or Kansai International Terminal 1 Building, and you applied for our rental service by 3:00 PM Japan Time the day before your pick-up date. It is possible to cancel your order through your account page up to 4 days prior to your pick-up date. You can still cancel within the 4 days, but to do so you have to contact our call center. If you cancel 4 days or more prior to your pick-up date, you will not be charged. However, canceling within the 4 days you will be charged for 100% of the rental period.